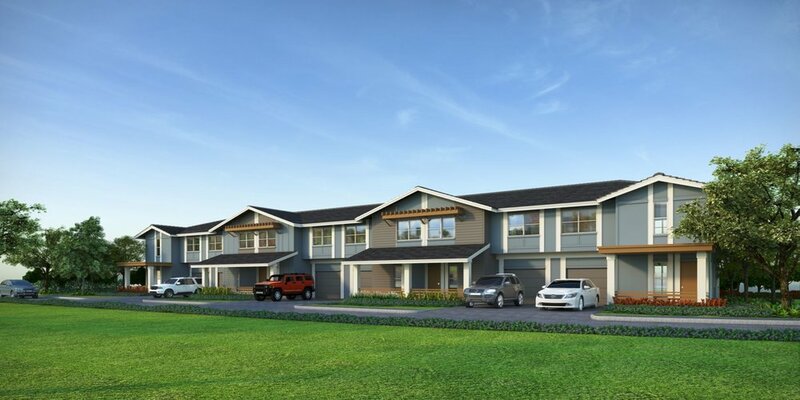 Kamalani Townhomes are part of the 600+ unit Kamalani subdivision in Kihei, Maui by A & B Properties. These are duplex, 4-plex and 6-plex buildings that comprise this 34-unit development. These market value homes will be built with enhanced technology and finishes, providing a luxurious feel at a value oriented price. The well-designed floor plans feature open kitchen and living spaces, strategic window placement to maximize breezes, and other creative design options.